Today was an eventful day for Kuma. Lately he has been quite skittish around new people and anxious-nervous around other dogs. This change happened seemingly overnight. 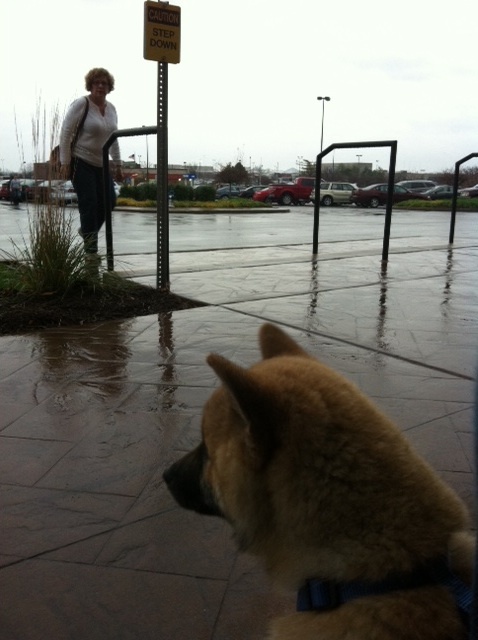 In hopes of curbing Kuma’s fear of the unknown I took him out to people watch at 3 different locations. The grocery store, Starbucks, and in and out of Petsmart (to get him interacting with other dogs). Kuma started out being very timid of all the people and new loud sounds, but after awhile he warmed up to the environment and eventually became his perky-tailed normal self again. He did not bark once at any people or dogs. Kuma is almost all done with his vaccinations so we will be upping his socialization quite a bit. Kuma made great progress today so we are taking that as a good sign for things to come.